In the midst of times like these, there is a viable way for us as women, as mothers, as married or single individuals, as grandmothers, as great-grandmothers, as teenage girls. Jesus Women has been established for a time like this, with the purpose of blessing, equipping, inspiring and challenging girls of all ages to love Jesus and follow him in all areas of life. Jesus Women is a mobilisation of girls of all ages for the building of the kingdom of God in homes and families, community life and church life. The work started with a national conference in 2003, and since then a grassroots movement has flourished which has taken on many tasks. From day one the salvation and fellowship of people across generations and congregations has been a strong pulse in the ministry. In May 2007, 7000 women attended the “Just Give Me Jesus” conference in the Oslo Spectrum arena, with Anne Graham Lotz as keynote speaker. Our head office is in Oslo, but local initiatives are emerging in various parts of the country, and every year we convene at our Nordic conference, JW Nordic. When we meet, the focus is on fellowship and the preaching of the Word of God. When our first national conference was organised in India in February 2013, our ministry moved into a new chapter in many ways. We have had the opportunity to support charitable work in the Developing World, and we look forward to seeing what this helping hand between sisters across borders will bring. We want to stand together in order to bless as many people as possible. 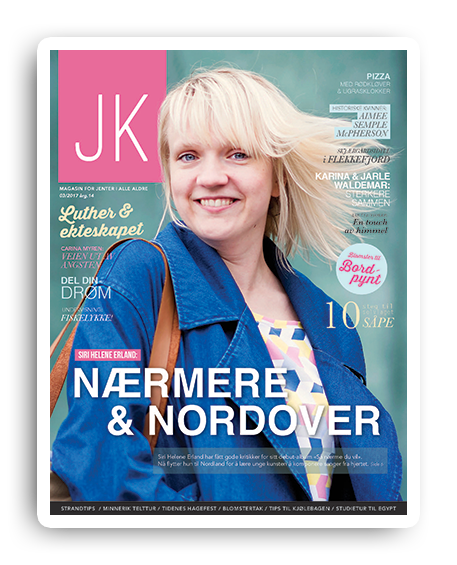 We publish the JK (JW) magazine six times a year, and we would like it to be available at newsagents and shops like Narvesen and REMA 1000. JK is crammed with news and reports, everyday tips and good teachings. It is perfect coffee-table reading! 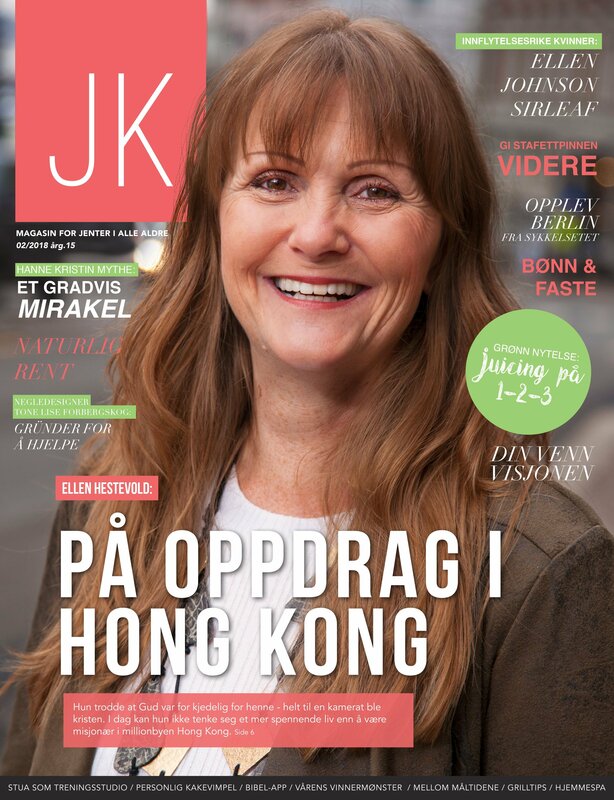 Anne Christiansen, co-pastor of Jesus Church in Oslo, is the initiator of Jesus Women. Anne is married to Stephan Christiansen and together they have three children. Her teaching is both practical and down-to-earth, and helps you to follow Jesus in the midst of a hectic modern life. You can hear Anne preach if you choose “The Monthly Power Package” in the main menu. esus Women is a grassroots movement established based on local initiative and involvement. Women of all ages and from various backgrounds meet up at different places all over our country in order to make a difference locally. In many places, local inter-church gatherings have emerged since Jesus Women started its work in 2003. Reports keep coming in with fresh testimonies as to what is happening. You don’t want to miss these evenings! Click on the images below for more information about what is happening at various places across the country. If you find a local Jesus Women near to where you live, please feel free to get in touch. Most of the information from the local groups on this website is only available in Norwegian, but many of the groups offer English interpretation at their meetings. Contact info@jesuskvinner.no if you have any question.